Till now, the high court in Hyderabad had been functioning as the common high court for both Andhra Pradesh and Telangana. Andhra Pradesh got its own high court on Tuesday. Separate high courts for Telangana and Andhra Pradesh came into being on Tuesday, more than four years after the latter was bifurcated to create the youngest state in the country. Thottathil B Radhakrishnan took over as the first Chief Justice of the Telangana High Court in Hyderabad, while C Praveen Kumar took oath as the Acting Chief Justice of the Andhra Pradesh High Court at Vijayawada. The governor of Andhra Pradesh and Telangana, E S L Narasimhan, administered the oath of office to them at separate functions. The chief ministers of Telangana and Andhra Pradesh, K Chandrashekar Rao and N Chandrababu Naidu respectively, were present at the functions in their states. Since Telangana was carved out of Andhra Pradesh on June 2, 2014, the high court in Hyderabad was functioning as the common high court for the two states. 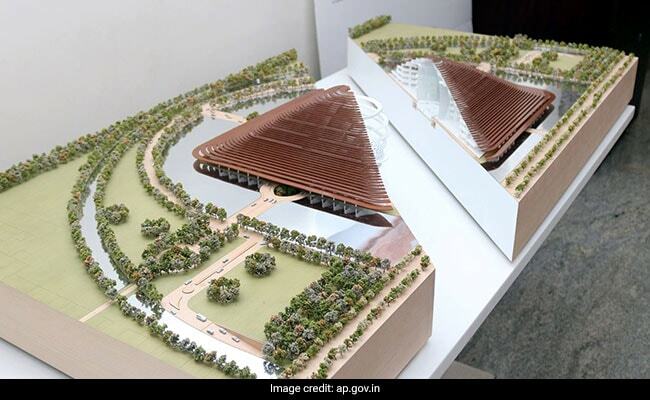 President Ram Nath Kovind had on December 26 issued orders constituting a separate high court of Andhra Pradesh from January 1, 2019, with the principal seat to be located in Amaravati. Radhakrishnan was sworn in as the chief justice of the Telangana High Court by Mr Narasimhan at the Raj Bhavan in Hyderabad. Later, the chief justice administered oath to 12 judges of the high court in the court premises. Chandrashekar Rao was also present at the swearing-in of the other judges. Mr Naraimhan later reached Vijayawda near Amaravati and sworn in the Acting Chief Justice and 13 other judges. The 13 judges sworn in are Justices S V Bhatt, A V Sesha Sai, M Seetharama Murti, U Durga Prasad Rao, T Sunil Chowdary, M Satyanarayana Murthy, G Shyam Prasad, J Uma Devi, N Balayogi, T Rajani, D V S S Somayajulu, K Vijaya Lakshmi and M Ganga Rao. According to the president's order, Justice Ramesh Ranganathan, the chief justice of Uttarakhand High Court, will head the Andhra Pradesh High Court. Mr Naidu described it as a "historic day". "I am very happy legal administration is beginning in the state today. With the inauguration of the high court, the state bifurcation process has come to an end, barring distribution of assets." As the temporary building to accommodate the high court in the state capital was not ready yet, the state government converted the chief minister's camp office in Vijayawada into an ad-hoc court premises, which was inaugurated by Supreme Court judge Justice N V Ramana. While the temporary building is expected to be ready by the end of January, the actual high court complex will be built in another three years. Advocates from Telangana were in a celebratory mood following the formation of the high court, a long-pending demand. "Advocates from Telangana are very happy as a long-pending dream of having a separate high court for Telangana has been realised. When two states are formed then separate high courts must be established," C Damodar Reddy, president of the Telangana High Court Advocates Association, told PTI. Formation of a separate high court would also be convenient to litigants, he added. There were over 2.6-lakh cases pending currently in the Hyderabad High Court, of which about 60 per cent was from Andhra Pradesh, sources had said. The Hyderabad High Court premises witnessed emotional scenes on Monday on the eve of coming into being of the separate high court, with advocates going down the nostalgic lane. About 1,600 employees were working at the Hyderabad High Court and they would be allocated in the ratio of 58:42 to Andhra Pradesh and Telangana respectively, according to an official. A section of employees had been sent temporarily to Andhra Pradesh and they would work there till the final allocation was done, the official had said. The process of shifting files pertaining to the Andhra Pradesh High Court had started and it would continue, the official added.